The male reproductive organ of a flower. The male reproductive organ of a flower. Each stamen consists of two parts – a thin stalk called a filament, topped with a small structure called an anther, in which pollen is produced. Grasses and other wind-pollinated plants often have long stamens that hang outside the flower. This exposes the anthers to the wind, which then carries pollen from one flower to another. Each stamen consists of two parts – a thin stalk called a filament, topped with a small structure called an anther, in which pollen is produced. 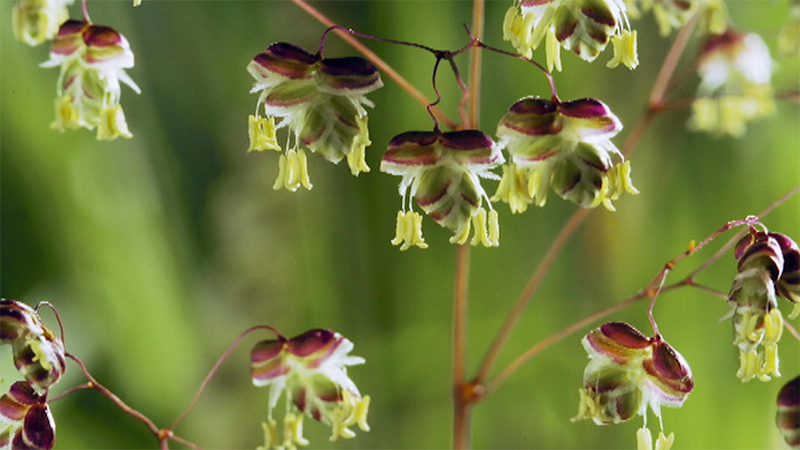 Grasses and other wind-pollinated plants often have long stamens that hang outside the flower. This exposes the anthers to the wind, which then carries pollen from one flower to another.